Brass Bonanza (Part 2) - Live This Time! Friday May 31st is a busy night for creative music in the state of Connecticut. Firehouse 12, 45 Crown Street in New Haven, welcomes the Dave Douglas Quintet for 2 shows - 8:30 and 10 p.m.
Composer/trumpeter/educator Douglas celebrated his 50th birthday in March and, as I wrote last week (read here), has embarked on a musical journey to commemorate the milestone year. Before he's finished, Douglas will have performed, at least, one gig in every state of the Union. For the Connecticut leg of the tour, he'll bring most of the Quintet that recorded his 2 most recent CDs, 2012's "Be Still" and this year's "Time Travel." Pianist Matt Mitchell, saxophonist Jon Irabagon and drummer Rudy Royston played on both recordings as did bassist Linda Oh and vocalist Aoife O'Donovan. Ms. Oh is currently in Banff, Alberta, Canada doing a residency at the Banff Centre while Ms. O'Donovan is on tour promoting her first CD as a leader (she's a member of Crooked Still.) Chris Tordini takes over on the bass - he's worked with saxophonist Steve Lehman, drummer Tyshawn Sorey and vocalist Becca Stevens. With the addition of Mr. Tordini, that makes the Firehouse gig a "Boys Night Out" and an all-instrumental show. Not to worry because the music on "Time Travel" is quite engaging. The blend of Douglas and Irabagon creates sparks throughout the while Mitchell plays with great inventiveness. As for Rudy Royston, he's right there as one of the hottest drummers on the scene. As of this writing (5/27), there are still tickets available for both shows. Call 203-785-0468 or go to firehouse12.com for more information and reservations. This should be a spectacular evening of music! The young man on the left, Petr Cancura, was born in Czechoslovakia and moved to Ottawa, Canada, when he was 10 years old. He then moved to Boston, Massachusetts, to study music and on to Brooklyn, New York, to pursue his dream to be a professional musician. He's worked with or is now working with pianist Danilo Perez, trumpeter Frank London, guitarists Julian Lage and Joe Morris plus with his very good friend, drummer Richie Barshay (a native of West Hartford, CT.) Not only does Cancura play jazz but he also has a Polka band and a "Roots Music" quintet known as Down Home. It's Down Home that is coming to Hartford on Friday night to play a gig at 7:30 p.m. in La Paloma Sabanera Coffee House, 405 Capital Avenue. The band consists of Cancura (who, besides saxophones, plays banjo and mandolin), Barshay, cornetist Kirk Knuffke (a member of Matt Wilson's Quartet), trombonist and baritone horn player Brian Drye (of the four bags) and bassist Garth Stevenson (Martha Wainwright, Harris Eisenstadt's Canada Day). The quintet is on tour in support of Cancura's new CD, from which they derive their name. The inspiration for the program came from a trip Cancura and Barshay plus wives made to Mississippi and the annual Otha Turner Family Goat Roast - Otha Turner, who died in 2003 at the age of 94, was considered one of the greatest fife players in the history of African American fife and drum corps. His ensemble was featured on the soundtrack of Martin Scorsese's "Gangs of New York" and in director's PBS series "The Blues." Cancura was struck by the Blues sounds he heard at the "..Roast" and, while his CD does not try to imitate the music (with one "live" exception), his compositions do have a deep roots connection. Barshay's "elemental" percussion is quite impressive and the horn arrangements really capture a slice of Southern Brass Bands. For more information about Petr Cancura and Down Home, go to www.petrcancura.com. You can check and see where the group is going to be during the tour. Besides his work as a musician, Cancura is in his 3rd year as the programming director for the Ottawa (CA) Jazz Festival taking place this year from June 20 - July 1. For more information, go to ottawajazzfestival.com. Trumpeter/educator/producer John McNeil is quite a presence in the world of creative music. As a faculty member of the New England Conservatory of Music since 1980, he has mentored, coached and performed with many contemporary musicians (including Dave Douglas and Noah Preminger.) His previous 2 CDs featured saxophonist Bill McHenry, another one of his former students. McNeil is part of a quartet whose self-titled CD, "Hush Point" (Sunnyside), features 2 more NEC graduates in Jeremy Udden (alto saxophone) and Aryeh Kobrinsky (bass) plus Vinnie Sperrazza (drums). McNeil is quite comfortable in small ensembles without chordal instruments. His music reflects the influence of both the "West Coast Sound" of the 1950s, groups led by Chet Baker and Jimmy Giuffre, as well as the liberating sounds of the early Ornette Coleman groups (the instrumentation is the same as Coleman's quartets.) Yet, while the sound may be somewhat similar, the music stands out on its own. Udden, whose most recent recordings are grounded in the "Americana" sound, has a light tone on alto, with a lyrical style - his solo on "New Bolero" is sweet, lilting and, when he meshes with the trumpet, their 2 distinctive tones paint impressive pictures. On "Peachful", the dancing groove created by the bass and drums spark the front line to put a bit of "swing in their steps." Bassist Kobrinsky is solid and quite musical; his active lines are both foundational and often provide counterpoint. Sperrazza, who those of us in Central Connecticut know from his work with pianist Noah Baerman, is the undersung hero in this music. Because the majority of these pieces are quiet in nature, the drummer is often using his brushes. Listen to how he and the bassist turn the rhythm section into a locomotive on Giuffre's "The Train and The River" and how he scrambles beneath the trumpet on "Get Out." Sperrazza is so soft as he supports Udden's fine solo on "Fathers and Sons"; still he continues to propel the piece forward along with Kobrinsky's "walking" bass. Lyricism, originality, musicians who listen to each other and respond intelligently, serving the music and not some commercial artifice make "Hush Point" worth owning. There's wit, a hint of blues, a bit of bop - the playing of John McNeil, Jeremy Udden, Aryeh Kobrinsky and Vinnie Sperrazza will grab hold and draw you into their world. It's a pleasant place to be. For more information and to hear several tracks, go to sunnysidezone.com/album/hush-point. Reviewers love it when they find a new artist whose music knocks them out. Then, you find that the musician has been active nearly 2 decades and has released 3 CDs in 17 years. Drummer/composer Marko Djordjevic came to the United States from his native Serbia to attend the Berklee School of Music in the early 1990s and has worked with artists such as Bill Frisell, Lionel Loueke, Aaron Goldberg, bluesman Lucky Peterson and numerous others. His 4th CD as a leader, "Something Beautiful (1709-2110)" (Goldkeeper Records), finds the drummer in the company of bassist Desmond White and the fine young pianist Bobby Avey - tenor saxophonists Eli Degibri and Tivon Pennicott appear on 3 tracks each (the group goes by the name of Sveti.) The influence of the late Tony Williams permeates the uptempo jazz pieces such as the frenetic "Heart Bop" and the melodic swing of "Which Way Is Down", the 2 tracks that open the program (the latter has a melody line similar to the Doris Day hit from 1954, "Secret Love.") Avey plays with great authority and inventiveness throughout the album. He easily navigates the various multi-rhythmic patterns Djordjevic creates as well as the several tracks influenced by the music of Yugoslavia. The classically inspired melody that opens "Svetlana" is quite handsome and the pianist's rich chordal sounds are inviting. A number of emotions are revealed in his playing on the closing track, "Svetlana Swinging on a Summer Evening." The Eastern European feel of "Home Made" is strengthened by the fine saxophone work of Degibri who also playfully maneuvers through the high-powered rhythmic drive of the leader on "Heart Bop." The young saxophonist Tivon Pennicott, who has worked with Esperanza Spalding and Kenny Burrell adds his soulful sounds to the medium-tempoed "Something Beautiful" whose melody lines reflect both modern jazz and Balkan music. Pennicott's plaintive work on "War Song" reflects the influence of John Coltrane. This song is the most abstract on the CD, with the musicians shaping a dissonant world. Bassist White is a solid presence throughout, laying the foundation of each tune which allows the leader more freedom to play with such zest. There are moments on "Something Beautiful (1709-2110)" (and, no, I'm not sure what the dates stand for or if there are even dates at all) when the drummer sounds as if he is about to boil over. Yet, he neither overwhelms the piano and bass nor ever drowns out the soloists. Marko Djordjevic & Sveti celebrate life and freedom, melody and interplay; by doing so, they create a world in which family and art are valued over war and destruction. For more information, go to www.svetimarko.com/. The first sounds one hears on "One From None", the new recording from the Michael Bates/Samuel Blaser Quintet (released on Fresh Sounds New Talent) is the "call to playing" from saxophonist Michael Blake. The title track that opens the poem is built upon the "deep" rhythmic work of drummer Jeff Davis (his "laid-back" drive on this track is enchanting) and bassist Bates "big" tone and melodic lines. The atmospheric sounds played on Fender Rhodes by Russ Lossing (he also plays "acoustic" piano on several tracks) link this group's sound to the late 1960s and the pioneering work of Herbie Hancock and Chick Corea. When he plas in the lower register, co-leader Blaser's trombone lines blend easily with the tenor saxophone yet he also produces "deep" low notes that thicken the bottom. Bates contributes 5 of the 8 pieces on the disk. Besides the title track (described above), he also composed the fast-paced "Van Gogh", the mysterious and (mostly) rubato "Dogfish", the delightfully funky "Balance" (Davis sends sparks through this track) and the handsome, emotionally rich "Uncertain Salvo" (featuring a splendid solo from the trombonist.) Blaser's "Recurring Dream" is oh-so-quiet with an intense piano journey above the delightful brush work from Davis. The blend of saxophone and trombone displays a lyrical side that carries over to Blaser's fine solo. He also composed "Rising Moon" (with its ever-shifting tempos and a bright solo from Blake) and the "slow drag" "It Began To Get Dark" that closes the program. The meshing of acoustic piano and Fender Rhodes adds different colors to the music, accompanying the different soloists (Bates takes a strongly melodic solo while Blake plays off the rippling keyboard lines. When Blaser enters quietly, the tempo picks up and he, along with Lossing, help to raise the "temperature" of the music. The music on "One From None" rarely gets loud but it surely is an intense experience. Solos move and in and out of the foreground, the drums rise and fall as tempos shift and both keyboards are featured as lead and background sounds. The bass is most often the "constant" in this music yet he also offers counterpoint. The Michael Bates/Samuel Blaser Quintet create music that pulls and pushes at the listener, keeping one a bit off-balance but ultimately satisfied by the challenge. For more information, go to www.samuelblaser.com where you can also listen to the CD. Walking/hiking through the mountains offers one a real opportunity to review, to think, to plan and to escape. For some, music does that as well. "Crossing the Passes" (Pine Eagles Records), the new CD by the Rich Halley 4, features music inspired by a backpacking expedition that the saxophonist/composer took in the summer of 2012 across the Wallowa Mountains of Northeast Oregon. Joining him on the trek was his son Carson (the drummer in the RH4) and nephew Tim Binford. The photos that adorn the album were taken by Carson and makes one wish this came as a gatefold vinyl recording. The music, performed by the senior Halley (tenor saxophone), his son the drummer, Michael Vlatkovch (trombone, percussion) and Clyde Reed (bass), has song titles inspired by the expedition. Ranging from the funky heat of "Traversing The Maze" to the quiet introspection of the title track to the fiery majesty of "Basin and Range", this is honest music. No one here is concerned with making an overblown personal statement; no, these 11 tracks document conversations built off of strong melodic lines and robust solos. Listen to the interactions of the saxophone and trombone and how the lines weave in and around each other. The rock-solid support of Reed is impressive but, even better, is his percussive playing on the opening track, "The Only Constant." His arco introduction to "Smooth Curve of the Bow" is majestic - when the piece moves into its funky rhythm, he continues his hardy bowing. Carson Halley is the heartbeat of this program. His "dancing clockwork" drumming on "Looking West from West" is quite infectious while the quietly pounding rhythms (and whooshing cymbals) on "Journey Across The Land" enhance the dramatic quality of the music. "The Spring Rains" as well as his constant background riffs on "Acute Angles" holds one attention. You'll enjoy how both players can swing without howling or falling back on cliches. "Crossing The Passes" makes no claim to being anything other than a true representation of how the Rich Halley 4 live and play music. The journey over the mountains can be heard in the force of the drumming, in the thrumming of the bass lines, in the several melodic phrases that resemble the soaring of large birds or the scattering of rocks dislodged by the hikers. Use your imagination and get lost in the music. For more information, go to www.richhalley.com. 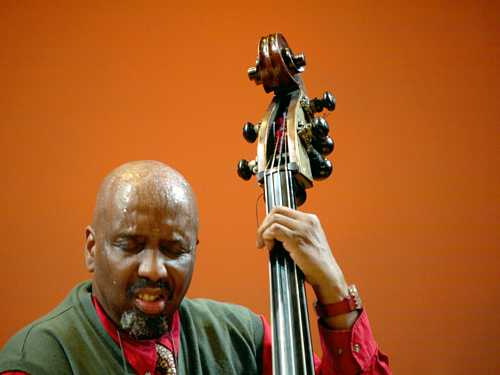 The Improvisations series at Real Art Ways, 56 Arbor Street in Hartford, continues Saturday night May 25 when bassist/ percussionist/shakuhachi player William Parker comes to play with series co-ordinators Stephen Haynes (trumpet) and Joe Morris (guitar). Parker has been involved in the creative music scene for over 4 decades, working first as a sideman then recordings and touring his own music (in various ensembles) since 1994. He played alongside Messrs. Haynes and Parker in March of this year at Firehouse 12 and has recorded with the guitarist o several occasions. Judging by past musical experiences, one expects this evening to run the gamut of styles and emotions, ranging from quiet, impressionistic, segments to raucous 3-way conversations. The music starts at 7 p.m. For more information, go www.realartways.org or www.facebook.com/events/534674626574891/. Pianist Joey Calderazzo, who first came to critical notice in the late 1980s as a member of saxophonist Michael Brecker's band, has been a member of Branford Marsalis's Quartet, taking over the piano chair after the passing of Kenny Kirkland. He has matured into one of the finer melodic players. He's not afraid to swing but when he digs into a solo, one can always hear how his lines are a logical extension of the melody. "Joey Calderazzo Trio Live" is his 11 CD as a leader or co-leader and first for the Sunnyside label. Recorded in Missoula, Montana (at the unique Daly Jazz), the program finds the pianist in the company of bassist Orlando Le Fleming and drummer Donald Edwards. The program ranges from 2 long and hard-swinging originals to 1 piece each by Bill Evans, Keith Jarrett, Paul Motian and a truly moving performance of Bobby Troup's "The Meaning of the Blues." No track is shorter that 8:26 and the set closer, Motian's "Trieste", clocks in at 17:20. There are a number of factors why this is such a memorable recording but none more important than the music is almost always framed as a 3-way conversation and not leader with accompaniment. The Trio comes bursting out of the gate with Calderazzo's "The Mighty Sword" - the band takes off on a romp that does not let up for 12 minutes. Even the bass solo is a romp. The other original, "To Be Confirmed", is a bluesy confection with a New Orleans flavor as it opens before the piano solo gets Le Fleming walking and Edwards dancing. "Time Remembered", the Evans composition originally recorded in 1963 but not released until 2 decades later, begins with a nod to the older pianist's sound but soon takes off on a high-powered piano solo. This time, the band does slow down for a fine bass solo that actually brings the song to a slower coda. "Trieste" closes the program, drawing the listener in with its rubato opening that leads to the statement of Motian's handsome melody. At the 7 minute mark, the rhythm section steps back (but not out) for a long exploratory piano solo to begin; the bass and drums return as Calderazzo's solo picks up steam. His solo continues, building upon the hard swing of Le Fleming and driving drums of Edwards rising to a climax at the 14-minute mark. Everything slows down, the main melody returns and the piece glides to its peaceful conclusion. "Joey Calderazzo Trio Live" is a real joy, a piano trio recording that runs the gamut of emotions without sounding pretentious or forced. Instead, the music swings, sighs, roars, and soothes - I envy the audience in attendance. For more information and to hear a track from the CD, go to sunnysidezone.com/album/live. 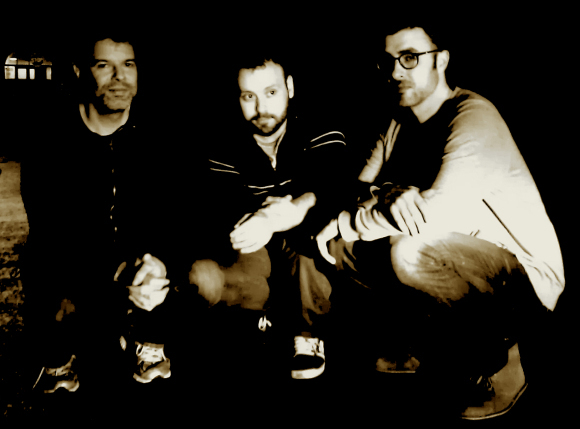 The trio of Matt Bauder (saxophone, electronics), Aaron Siegel (percussion, electronics), and Zach Wallace (bass, electronics) came together in Ann Arbor, Michigan, in the late 1990s to play creative music and have done so collectively and separately ever since. Bauder and Wallace attended Wesleyan University where they studied with Professors Anthony Braxton, Alvin Lucier and Ron Kuivila. The trio call themselves Memorize the Sky and they will be performing this Friday May 24 at Firehouse 12, 45 Crown Street in New Haven. The music they play blends improvisation, electronics, and drones with a sense of dynamic variation that s rarely found in "free music." This is the saxophonist's 3rd trip to the Elm City performance space having appeared with Harris Eisenstadt's Canada Day (Dec. 2011) and Taylor Ho Bynum's Sextet (October 2005). The percussionist played in Braxton's Echo Echo Mirror House Septet in May of 2011. Memorize the Sky will play 2 sets - 8:30 and 10 p.m. (separate admission charges) - for ticket information, go to firehouse12.com or call 203-785-0468. Bassist Michael Bates and trumpeter Dave Douglas (that s him with the dog on the left) are the co-hosts of a new bi-weekly music blog. In its first 4 episodes, "A Noise From the Deep" has featured Henry Threadgill, pianist Matt Mitchell, bassist (and Hartford, CT native) Dezron Douglas, and guitarist Miles Okazaki. The musicians talk about history, process, learning, interactions, and more, weaving excerpts from the featured artist's recordings and recordings by artists that have influenced the particular guest. Other the fact that 3 of these podcasts feature phone interviews and the sound quality is fair-to-good, these are enjoyable conversations to listen to, even for the non-musician. You can listen by going to www.greenleafmusic.com/category/podcast/ or subscribing (free of charge) at iTunes. Next Friday evening (5/31), the Dave Douglas Quintet (featuring Matt Mitchell) come to Firehouse 12 in New Haven, all part of the trumpeter's "50 State Project" as the he celebrates his 50th birthday - find out more by going to 50.davedouglas.com. 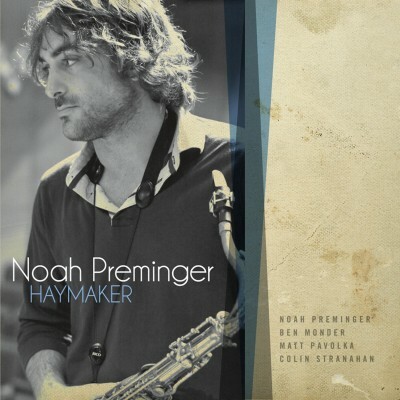 For his 3rd CD as a leader, saxophonist/composer Noah Preminger returns to a quartet setting, the configuration that served him so well on his previous recording as a leader but with one major change. Guitarist Ben Monder is the second voice as opposed to pianist Frank Kimbrough who appeared on his previous recording "After the Rain." The appropriately titled "Haymaker" (Palmetto Records) - Preminger took a serious interest in boxing several years ago - displays the saxophonist continuing maturity as a player and composer. Besides Monder, bassist Matt Pavolka and the excellent young drummer Colin Stranahan round out the group. This unit has spent plenty of time working together and it shows. The rhythm section moves gracefully as well as purposely through each song. They not only provide strong support but also join in the conversations. Stranahan gets busy on the title tune, driving the piece forward at breakneck speed as Monder and Pavolka play with great restraint. One finds it hard to pick any one influence in the saxophonist 's playing, perhaps Wayne Shorter (moreso on the ballads.) He's a fearless improviser (did I mention he's a skydiver and skier) - he crafts a delightful solo introduction to "Tomorrow" (yes, the song from "Annie") and, as he moves through the melody, fragments of the intro re-emerge at the end of several phrases. What's even more impressive is that he does not over extend the piece with a long, meandering, solo. Monder is his usual fine self, so understated in his rhythm work and quite exploratory on every solo. He seems to be on the brink of letting go on "15,000" yet holds back while playing an intriguing solo. His spare chordal accompaniment on "My Blues for You" foreshadows a most tasteful solo. His insistent lines on Dave Matthews's "Don't Drink The Water" build off Stranahan's hard-edged playing. The drummer is consistent throughout, that is, consistently good. Yes, he can be loud and forceful but displays tasteful restraint on slower numbers such as "Stir My Soul" - that same tune features fine bass work from Pavolka, not just supportive but moving in counterpoint with the melody lines (he also takes an excellent solo.) "Rhoda's Suite" is reminiscent of music made by the Paul Motian, Bill Frisell and Joe Lovano Trio. One hears the similarity in how this quartet uses space and in the deliberate melody and solos. Stranahan stirs the stew with his heated percussion. With "Haymaker", Noah Preminger continues to traverse a musical path of his own choosing. This music has fire and wit, subtlety and fearless interactions. One can tell this foursome listens to each other when they play and the result is often emotionally satisfying. For more information, go to www.noahpreminger.com. Noah Preminger plays a "CD Release Party & Birthday Celebration" on Sunday June 2 at 6:30 p.m. in the fine club atmosphere of Bridge Street Live, 41 Bridge Street, in Collinsville, CT. All the participants from the recording session will be there save for Ben Monder - the talented young pianist Glenn Zaleski will take the guitarist's place. Mr. Preminger will be celebrating his 27th birthday so one expects the event to be a bit raucous at times. For more information, go to www.41bridgestreetlive/calendar/ or call 860-693-9762. Australian-born alto saxophonist Angela Davis, who turns 28 in June of this year, move to the United States in 2008 to study at the University of the Arts in Philadelphia. After earning her Master's Degree in 2009, she joined the Jazz Faculty there and has also been honing her craft in clubs, festivals and concert halls. "The Art of the Melody" (Nicholas Records) is her debut recording and the title tells much of the story. Ms. Davis embraces the melody in each song and, while she certainly can solo, her overarching goal seems to be to make sure the listener connects with the emotions within the melody. Joining her on this adventure is the sparkling young pianist Chris Ziemba, and fellow Aussies Linda Oh (bass) and Rajiv Jayaweera (drums). What stands out on first listen is Ms. Davis's lovely, light, tone - one can hear the influence of Lee Konitz. Ziemba's work is exemplary, whether in duet on the sweet reading of Boz Scagg's "We're All Alone", playing in unison with the saxophonist on the bop-ish delight "Conscientia" or flying over the rhythm section on the opening "41 St. Nick." Ms. Oh, who is one busy musician as both a leader and sideman, infuses the music with a buoyant feeling on the uptempo tracks and a solid foundation on the slower pieces (she's does get a bit impish on Tom Waits's "Martha.") Her duet with the leader, Charlie Chaplin's "Smile", shows why she's in such demand; her playing is smart and her choice of notes not only frame the alto saxophonist melodies but also provides excellent counterpoint. Jayaweera, who came to the US in 2011 and has already worked alongside pianist Kenny Werner, saxophonist Joel Frahm and vocalist Cyrille Aimee, doesn't show off but certainly shows up. His brush work on the lovely reading of "Crazy She Calls Me" is so light and feathery and perfect underneath Ms. Davis's melodic saxophone. There's a touch of Paul Motian in his active work on the traditional "Annie Laurie." One can just imagine Paul Desmond smiling as Angela Davis plays. Her sweet tone, her dedication to melody over technical prowess and her interactions with the rhythm section deliver a strong message - for Ms. Davis, the "art" is found in the "melody." For more information, go to www.angeladavismusic.com. Nary a month goes by without a writer, critic, reviewer, venerable sage, etc. saying that "Jazz is Dead" or "Classical Music is strictly for old folks" or some tripe such as that. Yet thousands of CDs and downloads are available every year and a good percentage feature music either composed by and/or performed by women and men under the age of 30. Not all are good, few are great but, more and more, many of these recordings are quite impressive. Vocalist Cecile McLorin Salvant, the daughter of a French mother and Haitian father, grew up in Miami, Florida. In 2010, after spending several years in France studying law and music, Ms. Salvant won the Thelonious Monk Vocal Competition. Even before her first official US release, she has received numerous accolades from critics such as Stephen Holden and Ben Ratliff. 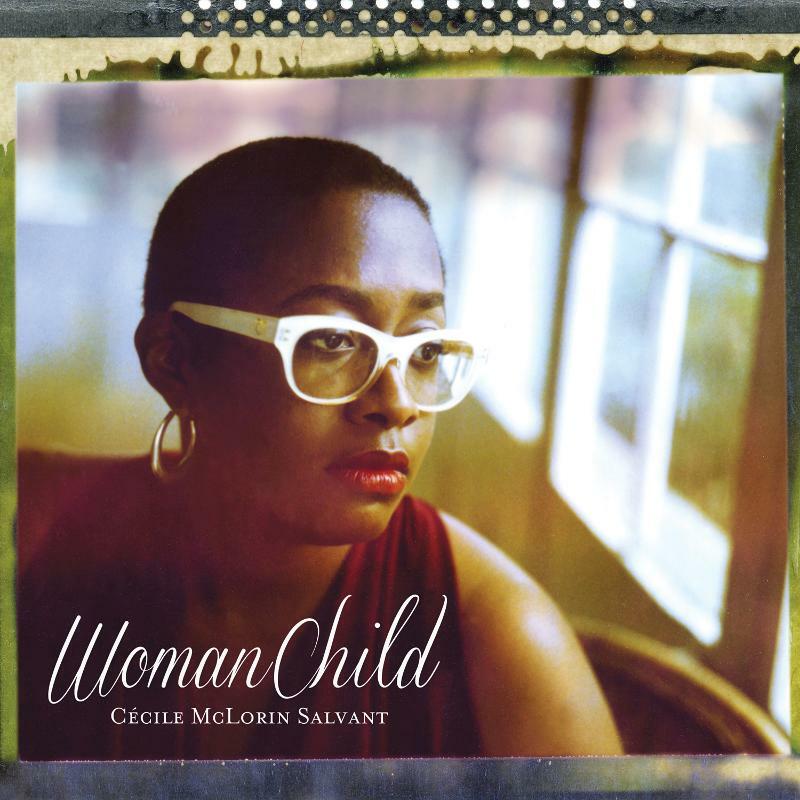 With all that praise, one can only hope that this new CD, "WomanChild" (Mack Avenue), lives up to the hype. Happy to report that this is a dazzling program, ranging from traditional blues to folk songs to standards to originals (some of the pieces date 100 years and more) and featuring a knock-out band composed of Rodney Whitaker (bass), Herlin Riley (drums), and Aaron Diehl (piano) with James Chirillo (guitar, banjo) on several tracks. One can hear the influence of Ella Fitzgerald, Billie Holiday, Betty Carter, and Cassandra Wilson yet this is an artist who takes those influences and injects her personality as well as talent into the songs. One is tempted to go through every track - here are tracks that stand out on the first several listens. "You Bring Out The Savage In Me", dating from 1935, romps in on the "jungle" drums of Riley. Diehl's piano chords reverberate in the background, Whitaker's bass thumps and Ms. Salvant delivers the lyrics with playful exuberance. She's has a splendid range, with a distinct personality for each register. The Ella Fitzgerald "sound" shows up in "I Didn't Know What Time It Was"; after a pair of finely-articulated verses, the vocalist steps aside for Whitaker's pleasing solo and Diehl's dazzling spot. One is more than ready when Ms. Salvant returns, taking her cue from the final line of the piano solo. An absolutely rocking version of "John Henry" is irresistible from beginning to end. The first 2 versions are sung over the dancing bass lines and funky drums. When the pianist enters, he dampens the strings with one hand, making the piano notes "pop", like a banjo. The title track is an original tune, with McCoy Tyner-like piano chords, and has the feel of an Oscar Brown Jr. song. The interaction of the musicians is exciting and conversational, with Diehl's solo forthright and swinging. Chirillo's bluesy acoustic guitar - think Lonnie Johnson - ushers in a sweet reading of Clarence Williams's "Baby Have Pity on Me." When Riley enters, he plays sweet and simple and, golly he swings this tune, first recorded by Bessie Smith in 1930, oh-so -nicely. Ms. Salvant's elastic vocal lines on "What A Little Moonlight Can Do" suggest the influence of Betty Carter; one hears it in the wordless lines that open the track and in her deliberate reading of the first lyrics and then, does she take off, oh my. Cecile McLorin Salvant certainly has serious "chops" but, even better, she inhabits these songs in such a way that they sound fresh, exciting and appealing. "WomanChild" may describe Ms. Salvant (23 at the time of the recording) but she is also a stunning vocalist, interpreter and, yes, an entertainer. For more information, go to cecilemclorinsalvant.com. Multi-reed player Steven Lugerner's debut recording was actually an impressive 2-CD set, one disk featuring pianist Myra Melford, trumpeter Darren Johnston and drummer Matt Wilson - the music Lugerner created for this chamber quartet was inspired by his study of the 5 Books of Moses, the Torah. Lugerner creates his music using the system of gematria in which the composer assigned used the number assigned to each Hebrew letter to the chords or the time signature or the duration of each note. "For Have We Heard" (Primary Records) uses the same system as the previous CD and the same ensemble but this time the pieces are shorter (10 songs in under 33 minutes). The title comes from the Book of Joshua, Chapter 2, Verse 10. The avid listener probably does not need to know all that while the curious one will look for herself. What is impressive is the conversational quality of the music and the excellent interaction. Both Ms. Melford and Mr. Wilson can and do play anything in front of them while Mr Johnston's crisp tone is a fine foil for the different reeds the composer plays throughout. Johnston has a touch of Lester Bowie in him which one hears in his short, clarion-blast, solo on "When a Long Blast Is Sounded", a piece that the drummer displays a forceful style. Wilson leads the way on"Drove Out Before Us" - he has the "vocal" part on the first half of the piece. Lugerner carries the low line on the bass clarinet, adding reed splashes as the song fades. The driving rhythms push "Be Strong and Resolute" until Ms. Melford's rumbling piano slows down the song until Lugerner's soprano carries the melody. Utilizing numerous overdubs, Lugerner creates a woodwind choir on "Before Our Very Eyes" playing the melody in tandem with Wilson's splendid cymbal work. The melody line on "All Those Kings" has elements of "Nobody Knows the Trouble I Have Seen" but soon the piece moves into a tenor saxophone solo over Wilson's marching drums. Johnston's counterpoint weaves in and around the saxophone. When the piano enters (3 minutes into the performance, Ms. Melford starts playing the bass line before opening up for a just a short while. The stately melody and drumming have the feel of a song from the Civil War. Though the pieces are fairly short (2 of the 10 tracks barely break the 5 minute mark and 3 are under 1:45), the music is fully realized. There are several occasions in which Steven Lugerner using studio effects on the reeds or trumpet to create a drone. "For Have We Heard" has no allegiance to any one style of creative music but the program remains true to its composer's unique vision. Take the time to wend your way through the songs - the reward is in the impressive architecture of the performances. For more information, go to stevenlugerner.com. In 2003, Kronos Quartet launched the Under 30 Project which the ensemble writes "is designed to help nurture the careers of young artists, while enabling Kronos to forge stronger connections with the next creative generation." This new recording " Under 30 Project: 1-4" (self-released digital only), puts the spotlight on the first 4 composers to win the competition. Alexandra du Bois (USA) won the 2003 competition with her piece "String Quartet: Oculus Pro Oculo Totum Orbem Terrae Caecat " - the music blends fractured single-note melodies, dissonance and deep bowed cello, building to a climax of long, keening lines from the violins and viola. Ms. du Bois has since composed a second string quartet for Kronos. In 2004, Felipe Perez Santiago (Mexico) contributed the mysterious "CampoSanto"; the shivering lines, recorded sounds and an insistent rhythm move the piece forward in a frenetic fashion. Dan Visconti (USA) created "Love Bleeds Radiant" which opens with the crackling of what sounds as if it comes from an 78 rpm recording. The piece builds slowly to a loud climax before taking a quieter journey to a second even noisier climax (as if the musicians were being tossed around on a boat in the midst of an hellacious storm.) Aviya Kopelman (Russia/Israel) is the 4th composer honored; her 3-part "Widows and Lovers" opens with crowd noises and the string quartet warming up which soon becomes the work itself. "Part I: White Widow" also includes synthesized drums, spoken sentence fragments before moving onto the much more serene "Part II: Lovers" which opens with breathing that opens to plucked cello, voice, heartbeats, a triangle, percussive sounds and the occasional melody line. "Part III: Black Widow" starts in dramatic fashion with a rhythmic pattern in the cello and violins that resemble a soundtrack from a Western movie. The motor rhythm is carried throughout the movement, morphing into new patterns until dropping out altogether as the work winds down. To find out more about the Under 30 Project and to purchase the download, go to kronosquartet.org/projects/detail/under_30. The site contains program notes and biographies of the composers as well as the winner #5. Like most forms of creative music, contemporary classical is evolving, far from dead, far from gone. Pianist/composer Armen Donelian returns to Firehouse 12, 45 Crown Street in New Haven this Friday May 17. With him will be bassist David Clark and drummer George Schuller (the snappy chapeau-wearing percussionist is making his 11th appearance in the Elm City performance space since 2007) and the Trio will play music they recorded in January of this year in the Firehouse recording space. Donelian has been active on the jazz scene for nearly 4 decades, working with musicians such as Sonny Rollins, Mongo Santamaria, Chet Baker and Billy Harper. As a leader, he's issued a dozen recordings include 2008's "Oasis" featuring both Clark and Schuller. A lyrical player, Donelian is not afraid to play with power; yet his lines are so articulate, so melodic, that his ballad playing truly stands out. Clark and Schuller are intuitive partners, good listeners who not only support the pianist but also offer intelligent counterpoint and the occasional kick. The Trio plays 2 sets - 8:30 and 10 p.m. (separate admission for each) - and you can reserve/buy tickets by going to firehouse12.com. To find out more about the music and life of Armen Donelian, go to www.armenjazz.com. Pianist/composer Noah Haidu is a wonderfully talented pianist whose debut CD on Posi-Tone Records, "Slipstream", featured a quintet with Jon Irabagon (saxophone) and Jeremy Pelt (trumpet). His sophomore effort for the label is aptly titled "Momentum" and finds Haidu leading a trio of bassist Ariel de la Portilla and drummer McClenty Hunter through a smartly balanced program of originals and standards. Perhaps the best part of Haidu's playing is how melodic he can be. On pieces such as Keith Jarrett's "Rainbow" and Thad Jones's "A Child Is Born", the pianist makes sure you hear the melody but, in the case of the latter tune, he wraps in quite a different arrangement. His solo is thoughtful, introspective (at times), and wistful as he gracefully and then forcefully moves away from the melody. The Cuban-born de la Portilla gives Haidu a great foundation while Hunter stays close to the beat without intruding. The gentle swing of the opening track, Jimmy Van Heusen's "I Thought About You", gives Haidu the opportunity to display his chops over the bassist's active "walking" lines and the drummer's catchy swing. The 2-handed chordal opening section of Joe Henderson's "Serenity" is orchestral, richly melodic leaning towards the blues - the bass and drums eases into the solo section, opening a groove for Haidu to dance atop,. The title track is an intelligent multi-sectioned piece with various changes in dynamics. The drummer is in the driver's seat, giving the song a joyful head of steam. There is a tinge of McCoy Tyner's power in Haidu's forceful solo. The "slippery" rhythms of "Juicy" displays the fine interaction of the trio with each musician pushing the piece forward. As I have stated numerous times, the jazz world does not lack for piano trio recordings. 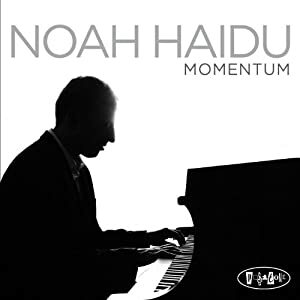 What Noah Haidu and company accomplish on "Momentum" is to play with intensity, intelligence, and wit, allowing the pieces to breathe and the listener to enjoy without feeling battered or played down to. For more information, go to www.noahhaidu.com. Last week, I reviewed the new CD by trumpeter Jonathan Finlayson (read it here) - the bassist on the recording is Keith Witty and his name stuck in my mind because I had read it somewhere else in the recent past. As it turns out, when I cleared off my desk, underneath some overdue bills was the new CD by the trio known as Thiefs. Cooperatively led by the afore-mentioned Witty, Guillermo E. Brown (drums, vocals, electronics) and Christophe Panzani (saxophone, electronics), the ensemble creates music that is best described as electronic-funk-jazz-soul-improvisational jams-dance-trance. The debut CD, released on Melanine Harmonique Recordings in late February of this year, is quite melodic and mysterious - Brown's soft yet soulful voice is featured on several tunes, including the foreboding "Daybaby". moving in and out of Panzani's electronically altered saxophone. "Olive Island", one of 3 tracks featuring the keyboard work of Shoko Nagai, meshes electric keyboard washes with a jaunty bass figure. Brown's vocal pulls one into the piece and Panzani's intense, passionate, saxophone leads the group into the improvisational section. Accordionist Vincent Peirani guests on "Sans Titre (huile sur toile)", Witty's thick bass tone and Brown's Hip Hop drums providing a rhythmic treat for Panzani's feathery alto saxophone lines (not unlike Chris Wood, the saxophonist in the 70s British band Traffic) - the second half jumps into an irresistible Caribbean-flavored rhythm. The accordion doesn't stand out as much as give the piece a joyful feel. The electronic crunch of "Doute/s" jumps out of the speaker, along with the buzzing and heavy low notes. There's a touch of Herbie Hancock's electro-funk in the cut as well as on the following track "All Day" - unlike Hancock's mechanized dance grooves, these pieces enjoy the fluidity of the bass work that truly makes the music roar and soar. Thiefs might not steal your heart but the trio's music will catch in your ears and mind. Good work all around and worth your time - for more information, go to www.wethiefs.com. One of the fun things about reviewing new music (there are many "fun" things) is when you discover someone new, only to discover he's been "on the scene" (albeit a bit underground) for nearly a decade. Daniel Bennett, who plays a slew of reed instruments, graduated from the New England Conservatory of Music in 2004 and released the first Daniel Bennett Group CD in 2008. At that time, the DBG was a drum-less trio of saxophone, guitar and drums playing the leader's idiosyncratic pieces that blend folk, pop, and jazz elements. 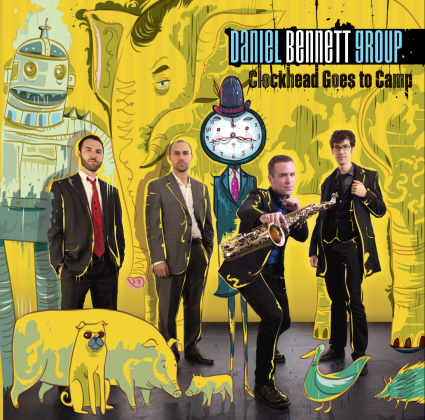 In 2013, Bennett is releasing "Clockhead Goes To Camp" (Manhattan Daylight Media Group) - his Group now includes Mark Cocheo (guitars), Peter Brendler (bass) and Tyson Stubelek (drums). The music is a playful blend of pop, folk, classical, jazz and world music influences with the emphasis on melody, groove, short solos, all of which combine to grab the listener by the ears as if to say "Wake Up!" The album and song titles may lead one to believe they have stepped into a children's fantasy world. Yet, songs like the opener, "The Old Muskrat Welcomes Us" with its groove out of the early 1960s (dig those handclaps) and the next track, "An Elephant Buys a New Car", with its circular melody and throbbing drums (not to forget the out-of-control pennywhistle plus more handclaps) are endearing. By the 3rd track, the amiable "Nine Piglets", you realize Bennett loves to create melodies that stick in your brain - also, when you go back to listen, you can hear how the Group members pay attention to each other. This music defies one's expectations. The album's closing track is just Cocheo's electric guitar (with loops, perhaps overdubs) playing a wistful ballad. Bennett's classically-influenced melody atop the fiery drums of Stubelek powers the title track yet, even during Cocheo's short solo, the music never loses its way. Bennett's tone on both alto saxophone and flute is impressive. The fullness of his flute sound on "Whatever It Might Be" suggests Hubert Laws while I hear a bit of Paul Desmond and Ornette Coleman (in the lightness of tone and his melodic approach plus Mr. Coleman also displays a playful approach in his playing.) There is one solo saxophone track, "Sandpaper Is Necessary", and one conjures up Lee Konitz. "Whatever..." also includes spoken word poet Rimas Uzgiris, whose manipulated vocal comes out of nowhere but makes perfect sense. Really, the best way to enjoy "Clockhead Goes To Camp" is close your eyes, get in the groove, and play the CD from beginning to end. The program is not very long (about 43 minute) so you can play it twice. Earthshattering? No. Fun? Absolutely! From the opening moment until the guitar fades aways at the end, the Daniel Bennett Group creates an entertaining soundtrack guaranteed to coax a few smiles. Maybe you will even clap along or even get up and dance. For more information, go to www.danielbennettgroup.com. When last we came across pianist JP Schlegelmilch, it was 8 months ago on the debut recording of Old Time Musketry (my review is here.) That delightful CD is an intelligent blend of styles, blending genres easily and does so in a playful mood as well. "Throughout: The Music of Bill Frisell" (SteepleChase/LookOut) is a clever conceit, arranging 10 of the guitarist's for solo piano. Several things stand out on the first listen - the man has written some excellent pieces and Schlegelmilch is one fine pianist. Over the course of the 40-minute program, one should notice the sophisticated "ragtime" rhythms on "Rag", the Chopin-esque beauty of the title track, and the broad brush of Charles Ives on "Hangdog. "There are moments that could come from a Randy Newman song ("Monica Jane" and "Deep Dead Blue") as well as the motor-rhythm drive of "Jimmy Carter (Part 2)" under a melody that reflects Aaron Copland and Brad Mehldau. Once you get over looking for the influences, sit back and enjoy this program. The performances are concise (only 1 track lasts more than 5 minutes) but do not lack for fine musicianship, melodic development and harmonic development. Schlegelmilch, who studied with Fred Hersch, Ralph Alessi and classical teacher Sophia Rosoff (among others) does not waste notes or riff endlessly through these songs. What he does do is make these melodies stand out in a way that shows their sophistication and, often, their beauty. For more information, go to jpschlegelmilch.com. The Uncertainty Music Series, curated by bassist/composer Carl Testa, has certainly been busy lately. Now, they have posted the monthly Concert Series at Never Ending Books in New Haven, a set of 4 concerts that commences this Saturday, May 11, with the appearance of 9 Volt. This electric trio, composed of Rick Parker (trombone, electronics), Eyal Maoz (guitar) and Tim Kuhl (drums), released its debut CD last September on Out Now Records. Titled "Open Circuit" (one should expect a number of puns surrounding the Trio's name), the explosive recording features guest artist Tim Berne (alto saxophone) - also, the drummer on the disk is Yonadav Halevy. The music is exploratory, interactive, noisy (at times), insistently melodic and rhythmical, intense, thoughtful and more. In person, one imagines that the Trio can emphasize its dynamic range to its fullest. The show begins at 8 p.m. and Never Ending Books is located at 810 State Street in the Elm City. For more information, go to uncertaintymusic.com. To get a generous sample of the band's music - no charge - go to outnowrecordings.bandcamp.com/album/open-circuit. You also buy the recording at that e-location. Having observed pianist Laszlo Gardony at the piano in concert, I know how much music he is capable of creating. As a boy, he studied classical music, as a teenager he discovered progressive rock and blues and, after graduating from the Bela Bartok Conservatory (as well the Science University) in Budapest, Hungary, Gardony played jazz throughout Europe. He came to the United States in 1983 to study at the Berklee School in Boston (where he is now Professor of piano) and, by the end of that decade, he had released his first American CD. Over the past 2+ decades, he has toured as an accompanist, as a solo artist, with his Trio and recorded 8 more CDs. As the final notes of "Clarity" resonate in the room, there's a true feeling of emotional release. Laszlo Gardony comes to his rest playing a chorus of sweet blues leading to a quiet resolution (indeed, the title of the cut is "Resolution (Perfect Place)" so he, too, could feel that his journey was complete.) On an October morning in 2012, Laszlo Gardony sat down at the piano and played. Play, yes, musicians play and, when the conditions are right, the result is joyous. For more information, go to www.lgjazz.com. The trees are in bloom, the dandelions in full glory and The Firehouse 12 Spring Concert Series rolls on into its 9th week. 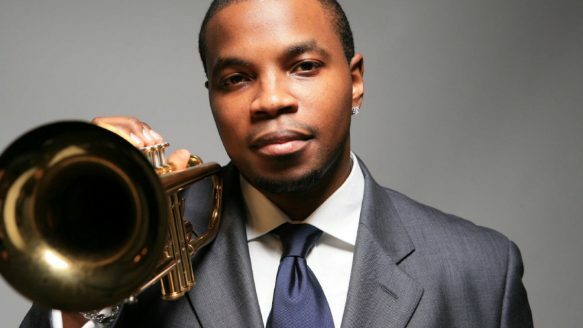 This Friday (May 10), The Jeremy Pelt Show comes to the Elm City performance space, located at 45 Crown Street. Pelt, whose new HighNote CD "Water and Earth" is his 11th as a leader since his debut in 2002, is not only a busy musician and producer but also a Senior Artist Teacher at the Hartt Scool of Music/University of Hartford. He's also a fine musician with a tone and attack reminiscent of Clifford Brown and Freddie Hubbard. The "Show" is Pelt's "electric" unit and features his long-time friend Frank LoCrasto (keyboards), Roxy Coss (saxophones), Richie Goods (bass) and Dana Hawkins (drums). The music they play has a funkier, more experimental, edge than the trumpeter's high-energy acoustic Quintet but is just as melodic and forceful. The Jeremy Pelt Show plays 2 sets - 8:30 and 10 p.m. - and you can find out more plus make reservations by going to firehouse12.com or calling 203-785-0468. To learn more about the talented Mr Pelt, go to jeremypelt.net. Trumpeter/composer Jonathan Finlayson, a native of Berkeley, California, should be a familiar name to aficionados of Black American Music. He's worked quite closely with Steve Coleman & Five Elements for over a decade, recorded and toured with guitarist Mary Halvorson as well as saxophonist Steve Lehman. His bright tone and rhythmic attack blends the articulation of Clifford Brown with the inventive vision of Lester Bowie. Amazingly, "Moment & The Message" (Pi Recordings) is Finlayson's debut as a leader and features his quintet known as Sicilian Defense, a tight-knit ensemble with David Virelles (piano), Miles Okazaki (electric and acoustic guitars), Keith Witty (bass) and the inventive drummer Damion Reid. It should come as no surprise that this music, all original pieces, is informed by the trumpeter's long association with Steve Coleman. One can also hear a touch of Henry Threadgill in several of the pieces. What you should focus on are the fascinating compositions with their intricate interplay; many of the pieces build off the propulsive forward motion of Reid (who also has worked with Lehman). The opening track, "Circus", dances out of the gate atop the funky guitar, the bouncing bass lines, rhythmic piano chords and the drummer's ferocious drive. Halfway through the nearly 8-minute cut, the band stops dead as if the song was over. Instead, the ensemble shifts gears, slowing down yet still moving forward on the bowed bass lines and declamatory drumming. "Lo Haze" follows and it, too, has several distinct sections. Both Virelles and Okazaki play rhythm beneath the fine trumpet and they supply their own smart support. All the while, Reid dances away as Witty plays the foundational role. "Fives and Pennies" has a dark opening, led by the tinkling piano and Okazaki's quiet guitar chords. Then, as the drummer falls into a solid beat, Virelles begins to play tolling chords which supplies the piece a great amount of tension. The music picks up in intensity and then slowly cools down - the trumpeter is in front almost the entire 12:40 yet the music is always engaging. The shortest track (4:14), "Tyre", displays more of Okazaki's intelligent rhythm work and also has a short but sweet piano romp. One coud easily cite each track for its exceptional musicianship, for the exquisite arrangements, and attractive melodies. Jonathan Finlayson's debut recording displays this 30 year-old trumpeter/composer as a mature musician, more than ready to lead an ensemble through a program that draws one in and holds one's attention all the way through. "Moment & The Message" is an apt title - this is definitely Finlayson's "moment" and "the message" is music that challenges one's expectations without anger but with creativity and vitality. For more information, go to pirecordings.com/album/pi48. The trumpeter's website - jonathanfinlayson.com - is as sparse as his music is forceful but check it out anyway. 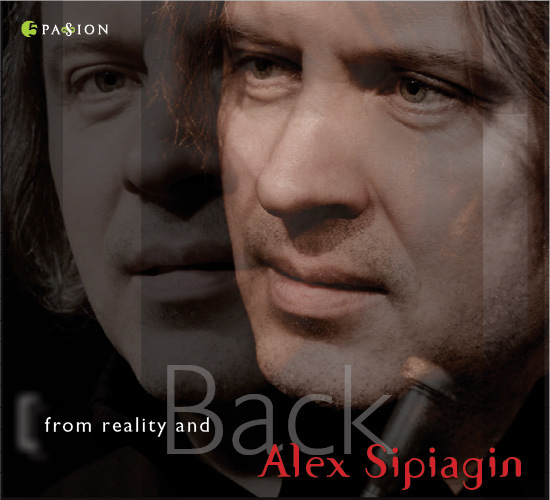 I lose count of the many recordings that are graced by the presence of trumpeter Alex Sipiagin. Over the past decade, he's released 10 as a leader on Criss Cross (not to forget 2 recordings with OPUS 5) plus several more on other labels. As a sideman, he's worked and recorded with Conrad Herwig, Dave Holland, the Mingus Big Band/Dynasty/Orchestra and many others. His new CD, "From Reality and Back" appears on Gonzalo Rubalcaba's 5 Passion label. He's gathered quite a unit, with the head of the label on acoustic and electric pianos, Mr. Holland (bass, of course), Seamus Blake (tenor saxophone) and Antonio Sanchez (drums), all leaders in their own right. The program features 7 Sipiagin originals plus a new piece from Pat Metheny composed specifically for this project. The Metheny piece "Dream Seen Later", is a lovely ballad on which Blake and Sipiagin share the melody while the rhythm section rises and falls gently beneath them. Sipiagin's solo is, by turns, emotionally strong and contemplative while Blake plays a bluesy solo that shows great restraint. The title track opens with a quiet solo piano melody - when the rest of the band enters, the melody line features a smart arrangement where the saxophone and trumpet pay in unison and then split in a call-and-response only to come back together. The song has the feel of a mid-1960s Herbie Hancock composition. The musicians really dig into "End Of..." with Rubalcaba, Sanchez and Holland in the driver's seat. Sipiagin and Blake push back against that rush of rhythm and the tension created is irresistible. Holland strums the intro to "With The Tide", Sanchez dancing between his cymbals and Sipiagin creates a smart melodic line that moves in and around the rhythms. Rubalcaba's solo is winsome and reflective even as the drummer stokes the fire beneath him. The pianist steps back and plays a dreamy accompaniment to the trumpet and saxophone solos. Holland's thick tones work well with Sanchez's busy percussion, producing a feeling of buoyancy. The intertwining of trumpet and saxophone at the onset of "The Maze"paints an aural picture of someone scurrying about trying not to get stuck. As the trumpet solo begins, the tension of the opening resolves and the music dances forward. Theres a feeling of relaxed urgency on "From Reality and Back"; that's not to say there is no fire in this music. Alex Sipiagin and his talented cohorts understand how to create excitement without overplaying and without flash. They can and do play with great stye and grace - you'll hear something new each time you sit down and pay attention. For more information, go to www.alexsipiagin.com. "Please come out to "Take Your Time" and the Uncertainty Music Series this weekend (5/4 & 6) to hear and see a broad range of performances. On Saturday, trumpeter/composer Liz Albee presents new works ("Quadraphonic Trumpet", "Stethoscope" and "EITHER for fingertips and small motors" followed by "Stack" and "Bound", a collaboration of choreographer Rachel Bernsen and visual artist Megan Craig. The event begins at 8 p.m. and takes place in The BIG ROOM, 319 Peck Street, Building 6W, Studio D.
The following evening at 7 p.m. in the same venue, the Uncertainty Music Series presents the duo Secret Keeper (pictured above) at 7 p.m. Composed of guitarist Mary Halvorson and bassist Stephan Crump, the adventurous ensemble has just issued its debut CD, "Super 8" on the INTAKT label. Ms. Halvorson is well-known for her work with Professor Anthony Braxton, Taylor Ho Bynum, her duo with violist Jessica Pavone plus her fine Trio and Quintet recordings on the Firehouse 12 label. Mr. Crump is an accomplished bassist/composer who has been a member of pianist Vijay Iyer's Trio for over a decade and also works with singer/songwriter Jen Chapin. He leads the acoustic trio (2 guitars and bass) Rosetta Stone. For more information about Secret Keeper and to hear samples of the CD, go to stephancrump.com/albums/super-eight/. To make a reservation (highly recommended) for either or both shows, send an email to thebigroomnewhaven@gmail.com.